This is for the data wonks who are interested to read how various theoretical retirement spending strategies are tested over fixed Monte Carlo simulations. 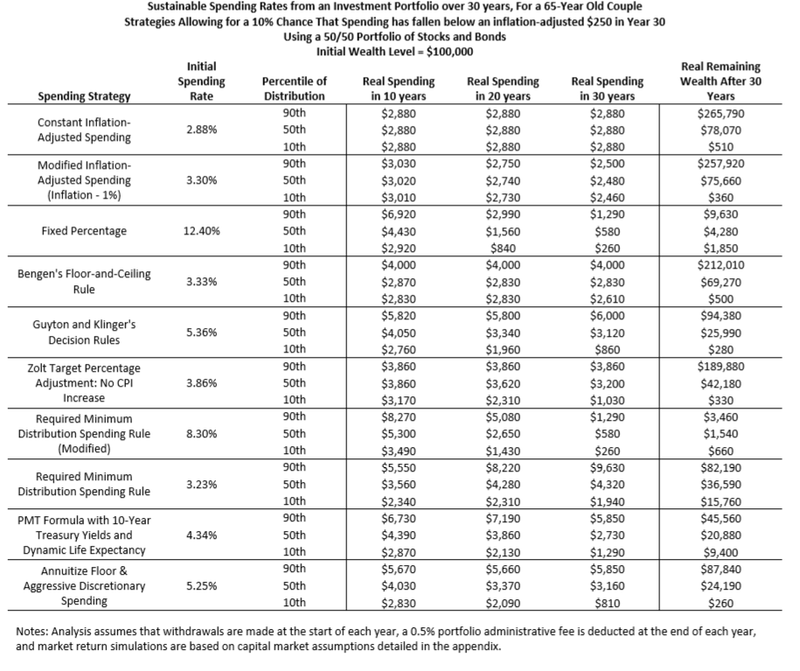 Mr Wade Pfau did an interesting paper that compares the various spending strategies out there. 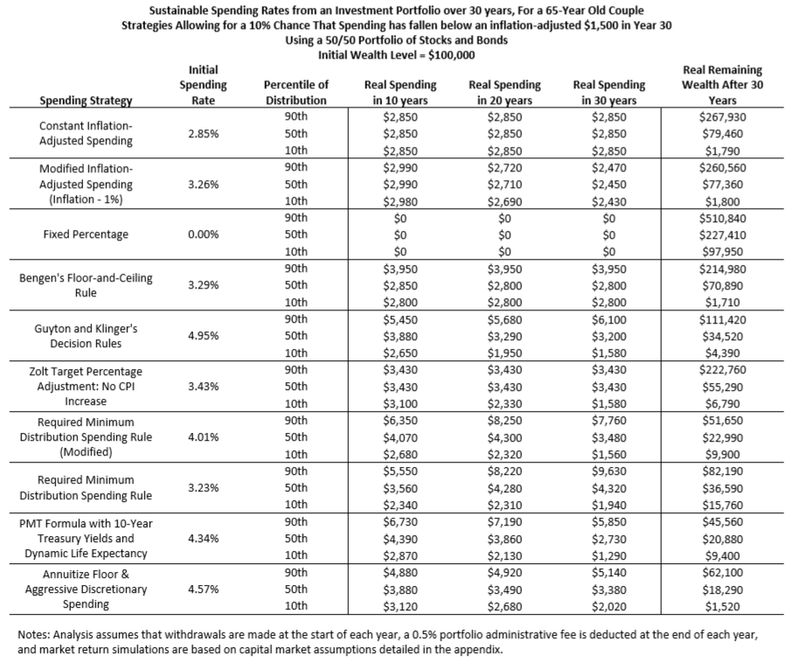 These includes 4% constant inflation adjusted, constant percentage spending, Zolt and Guyton decision rules, Annuity and Actuarial methods. 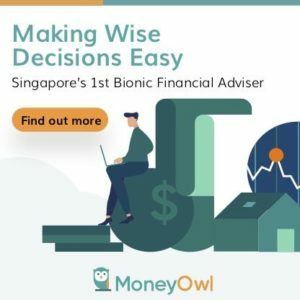 Mr Pfau provides a framework how to try our best to compare these strategies for a retirement spending needs. Discussions of different strategies are usually based on different market assumptions, which makes comparisons between them more difficult. The traditional “failure rate” measure (which indicates when the financial portfolio is depleted) shouldn’t be used with variable strategies because the spending level for different strategies might be quite different in the period leading up to failure, and because failure is technically impossible for some variable strategies. The results are interesting in that the initial first year spending % of your Wealth Fund /Wealth Machine/ Portfolio is adjusted so that they can fit the failure rate. He also show the real spending in 10 years, 20 years, 30 years.